Interview with KTM Motorsport Chief Engine Designer Kurt Trieb. Power is everything. In 2017 KTM makes it full time return to MotoGP with the KTM RC16 and its new grand prix machine will need to pack a persuasive and potent punch in order to fight at the front in the premier class. The KTM BLOG caught up with the project’s Chief Engine Designer, Kurt Trieb, to try and get him to expose some technical secrets of the new powerplant. Sat down in KTM’s new Motorsports building, Kurt Trieb is the polar opposite to the RC16’s V4 engine that erupted the ears of those who attended the Austrian GP in August. 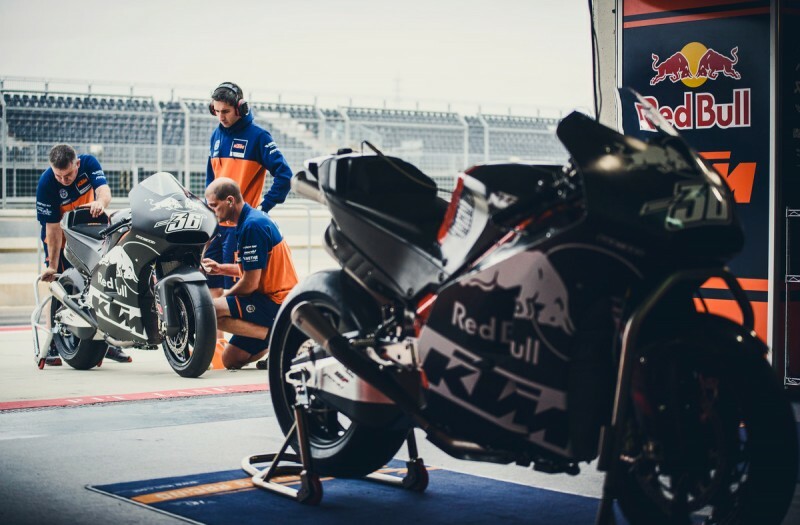 As opposed to brutal power and a screaming exhaust note that can’t be ignored, German-born Kurt who leads the engine design team that has created KTM’s new MotoGP powerplant, is softly spoken, gentle and not at all an attention seeker. 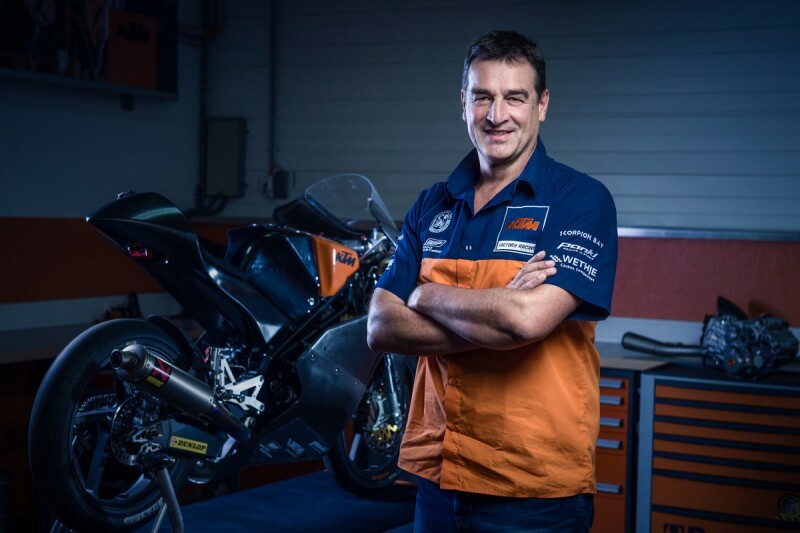 After studying Mechanical Engineering at the University of Stuttgart for seven years, Kurt worked in engine design for Porsche, Rotax and BMW before becoming a key figure in driving the Motorsport department at KTM since 2003. The 54-year old is not new to Grand Prix motorcycling, having been the chief designer on the original KTM 990cc MotoGP engine that raced briefly in 2005. Since that time he has helped power KTM’s dominating motocross engines and was responsible for KTM’s potent return to Grand Prix racing in 2012 with the original design of the Moto3 engine that drives the RC 250 GP machine. So for KTM’s return to MotoGP, was it a case of blowing the dust off the 990cc engine that was used in the Team KR chassis in 2005? 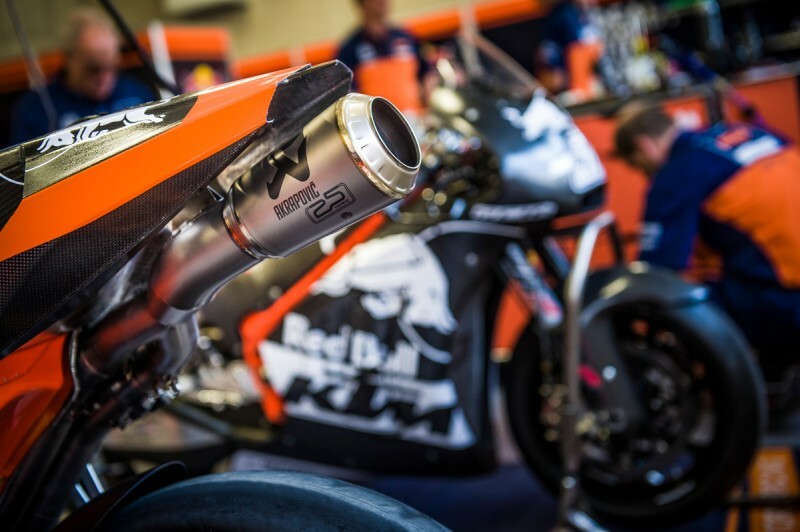 Were you happy with the first KTM MotoGP engine? Why did KTM decide to go for a V4 again? How difficult is it to build a MotoGP engine? Describe the engine setup of the MotoGP department. Will the KTM MotoGP engine help KTM street customers? Speaking of Moto3, you were in charge of creating the original engine that has been so successful. How about the noise of the RC16 engine? How much power do you need in a MotoGP engine? What do the riders say about the RC16’s engine?